Until March 2019, FleetCarma is giving away 1,000 devices that plug into the onboard diagnostic ports of electric vehicles and gathers information about a driver's charging habits and the energy that is consumed by the vehicle. A Canadian tech company whose primary business used to be helping automakers develop electric vehicles is now focused on helping the government in its effort to get more people to buy them. FleetCarma of Waterloo, Ont., is the lead company in a federally-sponsored program called Charge the North. Over the next few years, the tech company is attempting to track the driving and charging habits of 1,000 people who drive electric vehicles. Canada’s Ministry of Natural Resources has invested $3.25 million dollars in the project that launched June 13. The government money represents about 40 per cent of the total cost. FleetCarma and some other companies are covering the other 60 per cent. It’s part of the federal government’s 2017 budget of $21.9 billion to be spent on green infrastructure, which includes funding for a national electric and alternative fuel network, over the next 11 years. It’s an attempt to get more Canadians to buy electric vehicles. 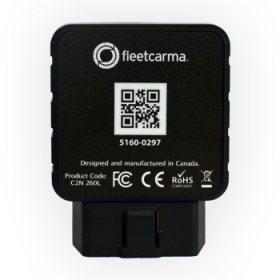 Until March 2019, FleetCarma is giving away 1,000 devices that plug into the onboard diagnostic ports of electric vehicles and gathers information about a driver’s charging habits and the energy that is consumed by the vehicle. The device will also collect information about driving habits and, through GPS, location, which will be used to determine where Canadian EV owners currently charge vehicles and where they need charging stations. Charge the North will then look at how to optimally manage electric-vehicle charging at workplaces and multi-unit housing complexes, such as townhouses and condos. FleetCarma can track how much power drain the air conditioning unit puts on a battery charge. It can also track how much strain electric vehicles put on any given power authority’s electricity grid while they charge. It’s working closely with power authorities and utility companies from coast to coast. Whether real or perceived, range anxiety is an issue in Canada. According to the International Energy Agency, the country lacks public charging stations. There are 4,977 public EV chargers in Canada, according to the Canadian Automobile Association, which keeps an accessible database of locations on its website. But charging stations are unevenly distributed, located mostly in densely populated cities and in provinces where the provincial government provides incentives to buy an electric vehicle. The IEA says even though Canadians are buying plug-in hybrid electric vehicles faster, by percentage, than most other countries, Canada currently accounts for less than three per cent of all fast- and slow-charging stations worldwide.